Or should I say mystery chef? 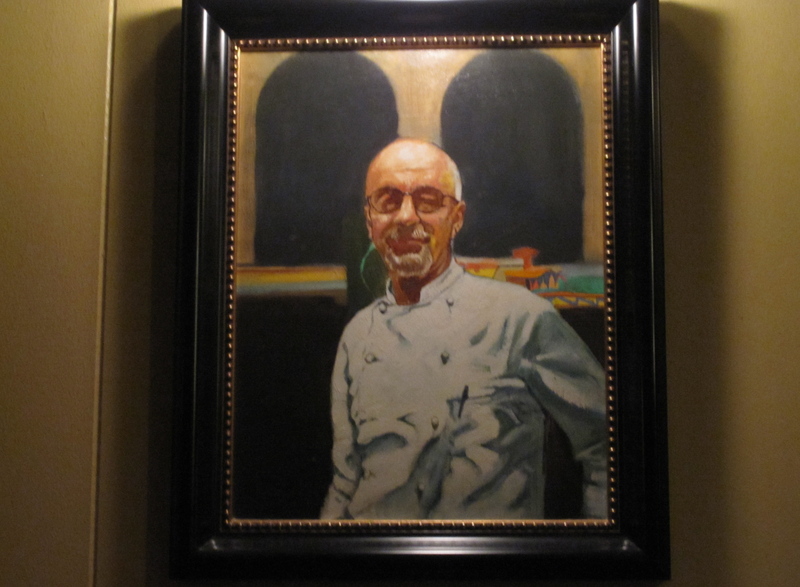 This painting hangs in which Chicago restaurant? Is that the owner of Trattoria Trullo in Lincoln Square? If not, it sure looks like him (but the painting doesn’t have an Italian accent so I can’t tell for sure). Good guess, but I’m afraid it’s not him. Keep guessing! It’s Chef Jean Claude at Le Bouchon! Correct! I will be in touch about a guest blog! Thanks Tim!